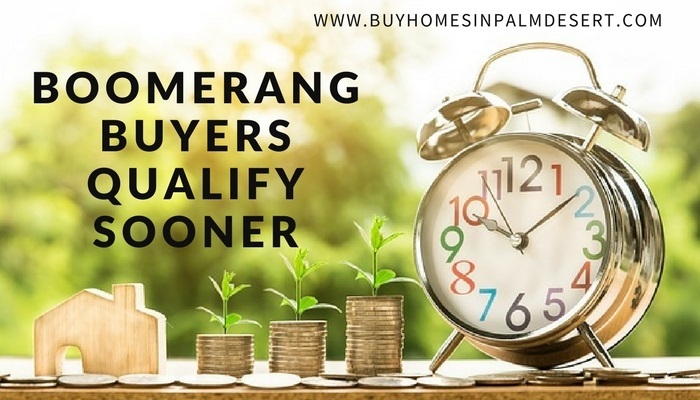 It's called boomerang buyers and most people qualify for financing in just 2 to 3 years. According to a new study from Lending Tree, those who file for bankruptcy, foreclosure, or short sale may be able to rebuild enough credit to qualify for a home loan in as little as 2 to 3 years. This is much better than the 7 to 10 years for many bankruptcies in the past. Having this black mark on your credit history usually hangs around for 7 to 10 years but now, many people may be able to qualify for a home loan in less time. The study analyzed over 1 million loan applications for mortgages, personal, and car loans compared to borrowers who had a bankruptcy on their credit reports. 43% of Americans who file for bankruptcy were able to repair their credit back to at least of 640 FICO score in less than a year. Those who achieve this score after five years was up to 75%. Those that could repair their credit score to a range of 720 to 739 within three years of filing were able to obtain the same financing options as those who have never filed for bankruptcy. This is great news for those looking to re-enter the housing market. There were more people qualifying over 750 after a bankruptcy than those under 600. So, what can you do to increase that credit history? Pay off any debts that you currently have as quickly as possible and make sure you pay on time. Pay off any medical bills, student loans, or any other type of loans if possible and pay all of your utility bills, rent, and other monthly expenses on time or early. Don't make any large purchases on credit and trying to apply for any other credit or lines of credit while you are trying to repair your credit score. It can happen but it's important to talk to a lender about your options and how soon you could qualify for a home loan. Lenders will run all of the numbers and give you a practical timeline for reapplying. It might be sooner than you think. Give us a call today and we can discuss mortgages and home loans and help you reenter the housing market sooner rather than later.